Arrggh, I didn't paint my nails last night and I'm at risk of falling behind in the challenge. 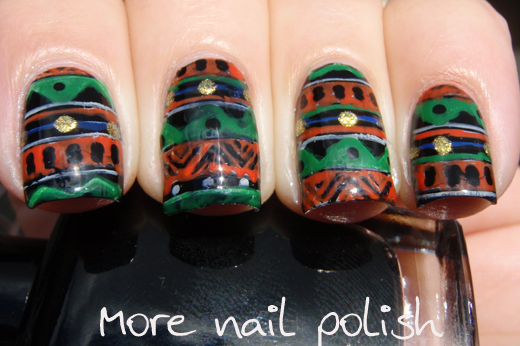 I might just have to do a double mani this weekend if I can squeeze it in, to give me some breathing room. Tonight I have another mani courtesy of my Uber Mat. 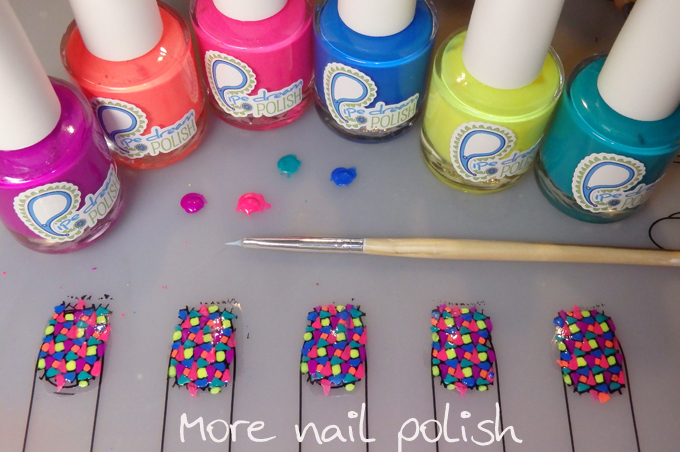 It makes doing stamping decals so easy, and I've never had them work out so perfectly before I got my Uber Chic mat. 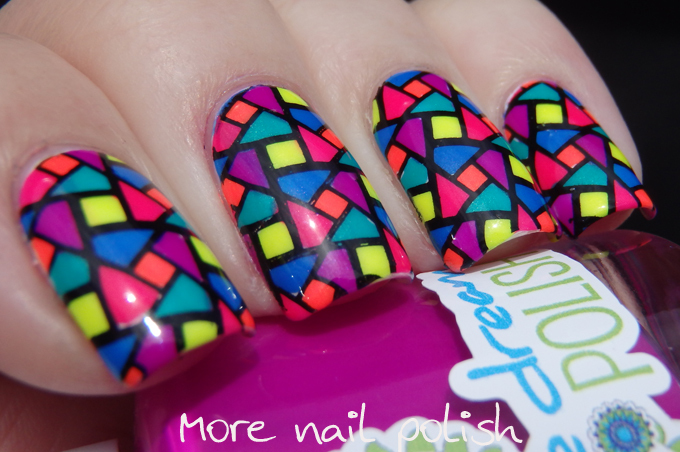 I used Born Pretty Store plate BP-L03 for the stamping image. 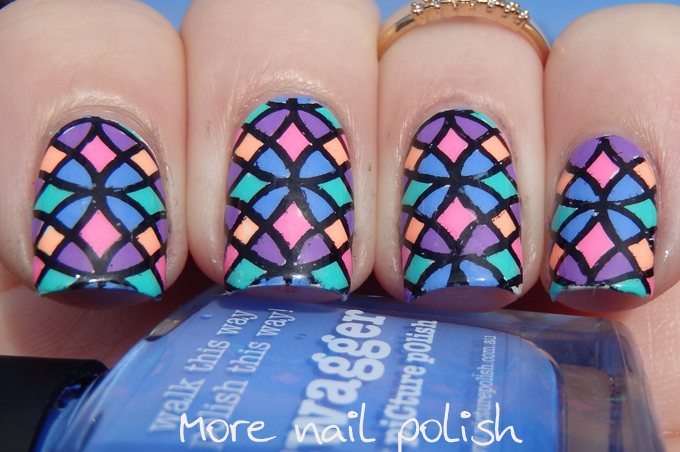 I stamped the image on my Uber Chic mat and then coloured it in with the Pipe dream A Night in Vegas collection. I applied top coat, and then waited about 10 minutes for them to dry enough to peel off cleanly. I painted a white base on my nails and then simply pressed down the decals, trimmed the edges and cleaned up with acetone and a brush. 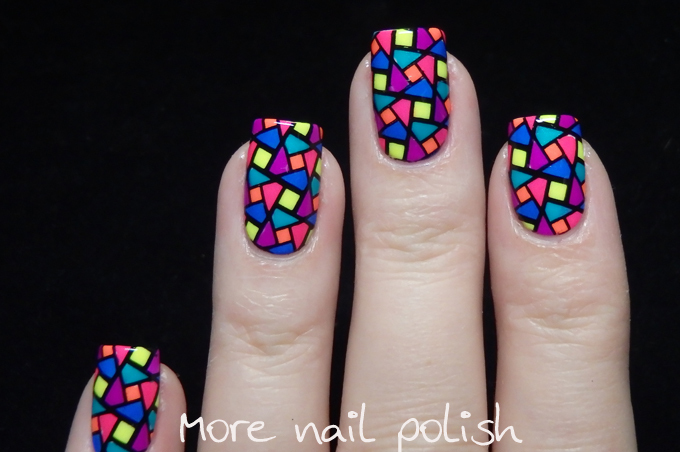 My geometric nails from 2013 and 2014! 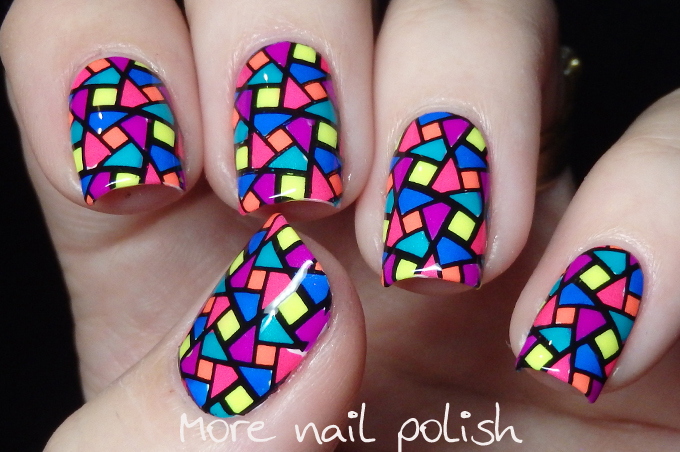 I love this colorful mani! awesome! 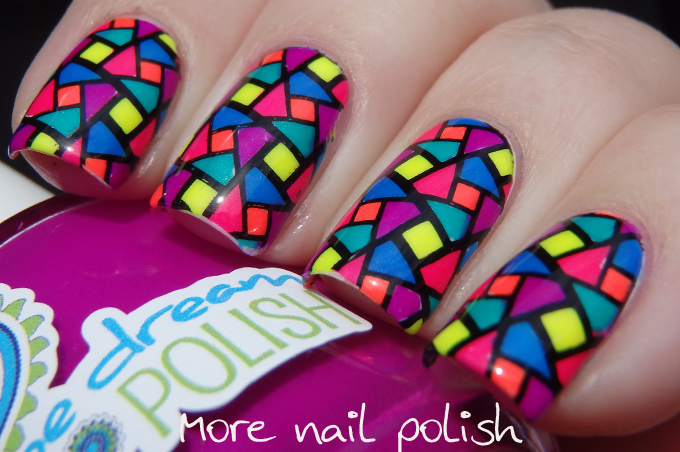 Those pipe dream polishes are the liquid form of godgranted perfection! These are so good! Perfection! Makes me sad to think you'll have to change out of them so soon.